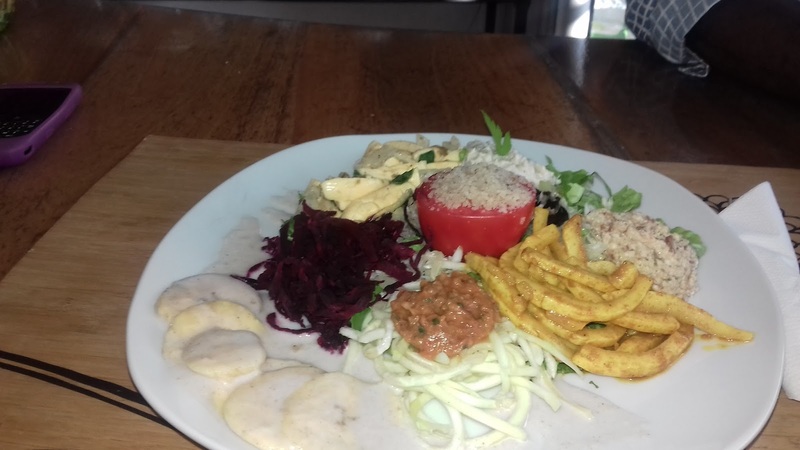 How To Dine Out in Kingston, Jamaica as a Raw Vegan. Part I.
right here in Kingston, Jamaica. In a two part synopsis, I shall illustrate how. whilst keeping the budget intact. a stop at Tehuti Cafe on Lyncourt in Barbican was a welcoming experience. Embraced by the company of owner and operator Tehuti himself was a grand opportunity as always. Up on the menu are shakes, freshly made juices, pizza, salads, sweet pies, pastry balls and more. ‘zoodles’ (zucchini noodles), nut cheese dip on fresh lettuce, seasoned nut meat. Filling and tasteful. 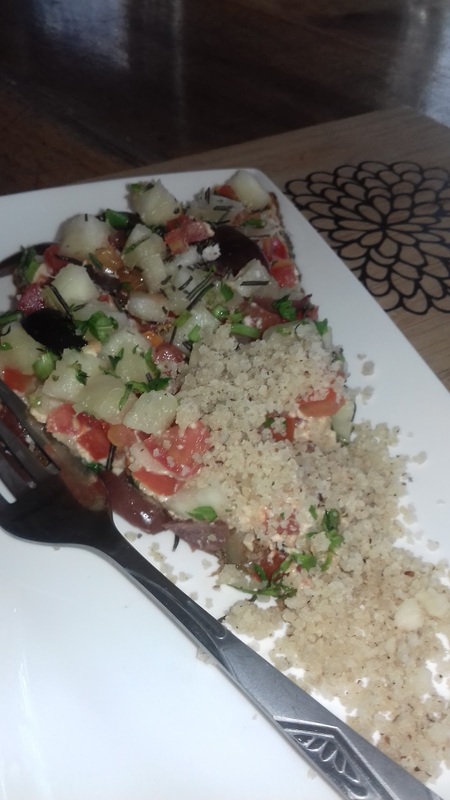 Also available at Tehuti café, is his signature gluten free raw pizza, served with a seasoned walnut cheese. Interestingly enough, Sham’s Bakery is a delightful location to have a fresh raw concoction. his signature Middle Eastern Tabbouleh minus a few ingredients and adding a few of my select choices. 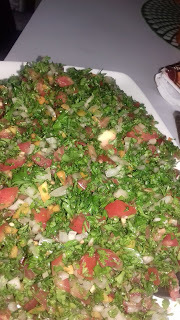 Here we have: finely chopped parsley, tomatoes, onions, garlic, added scotch bonnet peppers. banana or two is a wonderful meal. Raw ackee also compliments this winning salad made fresh to order. Stay tuned for more next weekend.